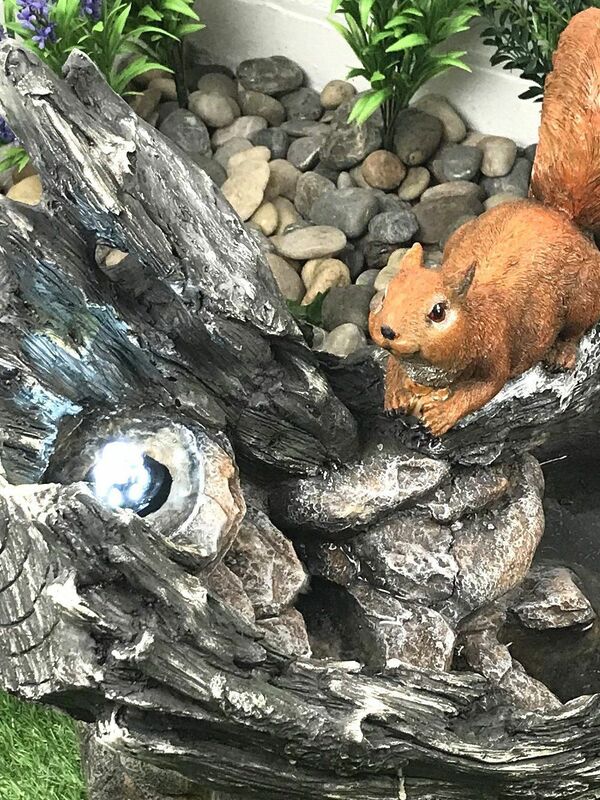 This striking Solar Powered Squirrel Stream With Battery Backup LED Lights and Mains Charger, is a must have for any garden or patio area. This feature is a favourite with nature lovers and adds the sound of trickling water to your garden. The water is pumped to the top of the feature and is illuminated by an LED light giving it that extra WOW factor at night. The water then cascades down the feature into the fully self contained reservoir. Made from our high quality durable poly-resin and weighing at 10kg this fully self contained feature enables an easy transportation throughout any garden or patio area. This fully self contained durable lightweight feature also includes a solar powered battery backup and mains charger for whenever we have those extra gloomy days. 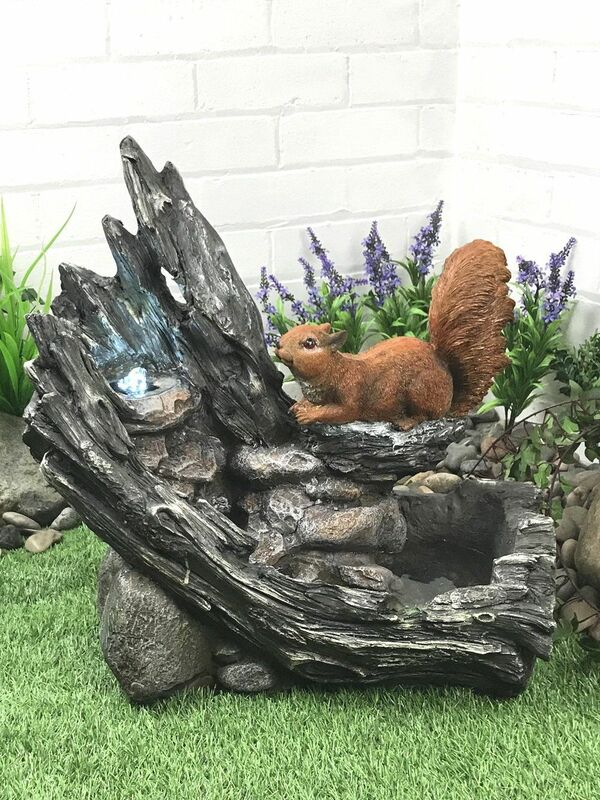 Due to the stunning detailing of the feature this appeals to both young and old meaning it is a must have for any garden and patio.